A Church of England lay minister has been asked to “step back” from his role after a number of anti-Semitic posts on Facebook. 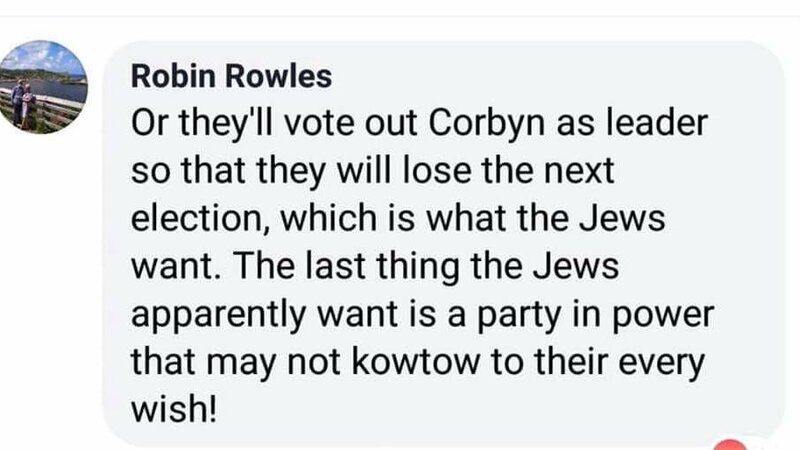 Dr Robin Rowles was writing on the Friends of Jeremy Corbyn Facebook group when he said that “Jews” want to keep Labour out of office because it “may not kowtow to their every wish”. 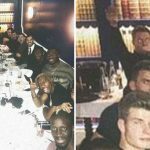 He later wrote that he had been banned from the Facebook group, saying: “Teehee!!! I think I’ve found the root cause of the claims of anti-Semitism in the Labour Party. 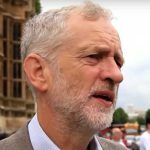 “I’ve been banned from a left-wing, Corbyn supporting, Facebook group for being anti-Semitic. On querying the ban, I further discovered that to say that ‘the Jews arrested Jesus and arranged for him to be killed’ is being anti-Semitic! 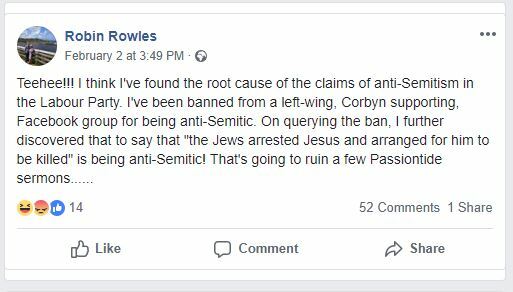 Unfortunately, it seems Dr Rowles anti-Jewish remarks are not confined to comments about Labour. 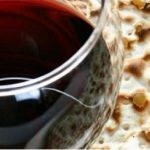 In November last year, Dr Rowles took a swing at Evangelical Christians in America and once again showed an anti-Jewish attitude. He wrote that “US ‘Evangelical Christians’ have moved away from Christianity and into Judaism”. 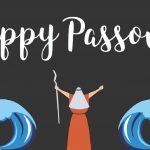 “The Old Testament (the “Jewish Bible”) has lots to say about hating people and killing them if necessary,” Dr Rowles wrote. 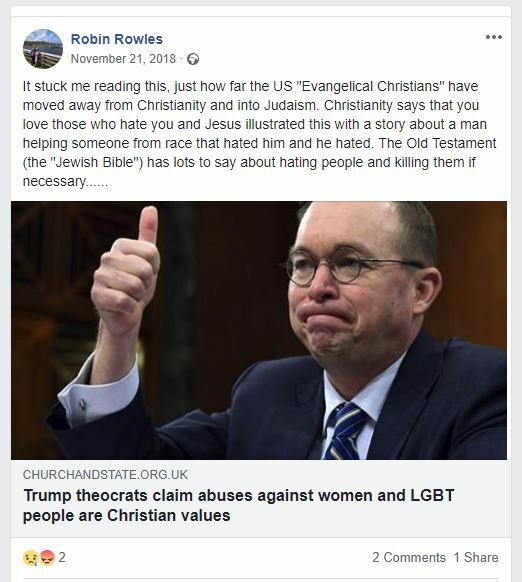 Sadly, Robin does not realise that he himself is hating both Jews and fellow Christians with these remarks. Neither of these groups teach about hating or killing others. What’s more, Robin’s comments are going against God’s teaching. The Old Testament is still part of the Christian Bible and has relevance today. It is replacement theology that has tried to dismiss the Old Testament teachings and say they are no longer relevant to Christianity, which is categorically wrong. Dr Rowles is also going against the rules of the Church of England which has rules against speaking negatively about other religions. In response to these anti-Semitic comments on Facebook, the Church of England has asked Dr Rowles to “step back from his role”. 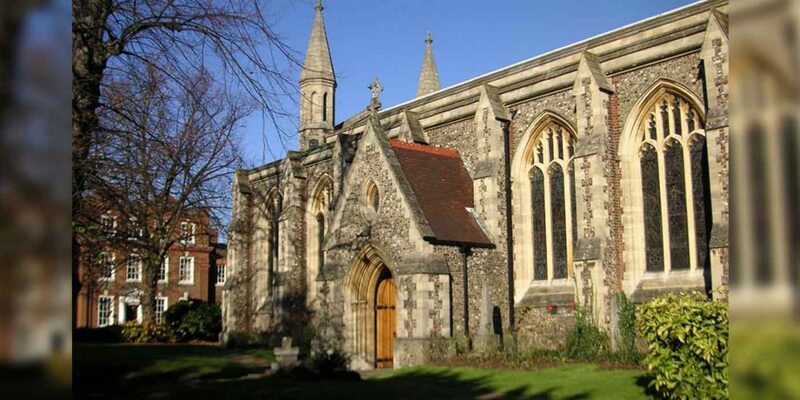 According to the Jewish Chronicle, a spokesperson for the diocese said it “finds all forms of antisemitism repugnant and unacceptable”. They added, “Dr Robin Rowles is a Church of England Lay Minister (Reader) in the Diocese of St Albans. Readers are not employed. At this time, the Church of England has only asked the minister to “step back” from his role whilst they investigate. And that is the right course of action for now. 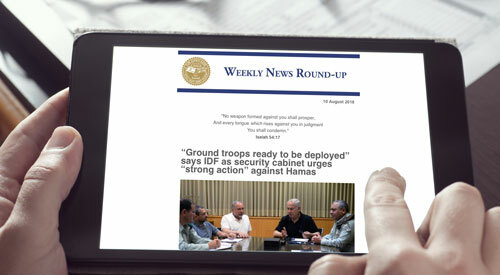 How they resolve this issue, in the end, will determine their path moving forward and display how seriously they take anti-Semitism in their ranks. We carried out only limited searches on Robin Rowles Facebook page. It appears he has now deleted his Facebook account, possibly an attempt to hide any other anti-Semitic comments he has made or maybe to stop people targeting him for his views. Clearly, if this was not asked of by the Church of England themselves, this could hinder their investigations. Ultimately our hope is that Dr Rowles will come to understand the truth of the Bible, turn away from the hatred of anti-Semitism and repent. 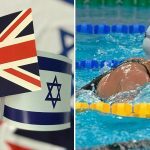 Next50 days to Brexit | What does it mean for Israel-UK relations?